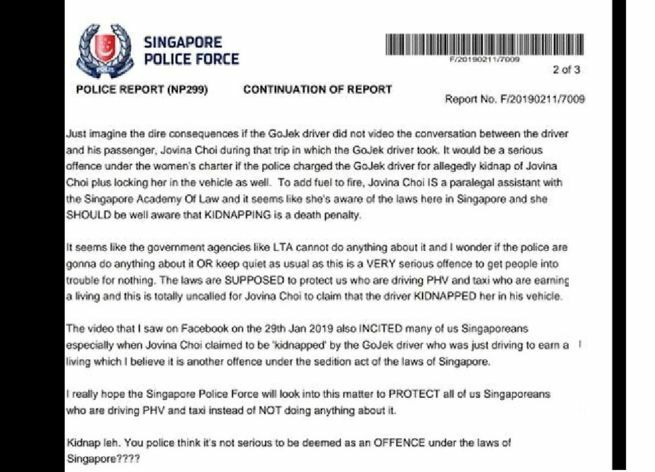 MAN MADE POLICE REPORT AGAINST JOVINA CHOI "MISS KIDNAP"
Police report lodged against Jovina Choi. 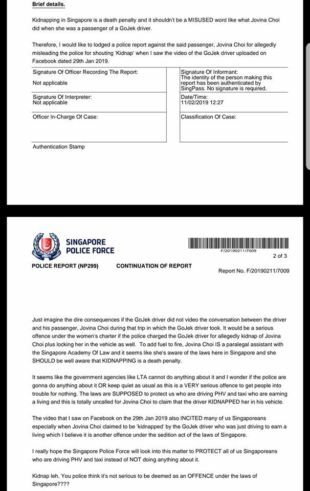 And this is NOT to seek attention or spreading negativity post just in case the car salesman Edmund Ho from CarTimes Automobile Pte Ltd accused me of likewise. Car salesman too free these days liao that’s why got nothing better to do. 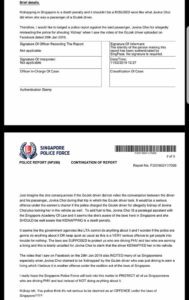 Previous ArticleFIRE AT TELOK BLANGAH HAWKER CENTRE!